Coco Shrimp (Fort Worth): Posted up every day but Sunday in the Lowe’s parking lot at 4440 Basswood Blvd in Fort Worth, Coco Shrimp serves up some absolutely incredible food. Although they describe themselves as Hawaiian food, they’re really known for SHRIMP. 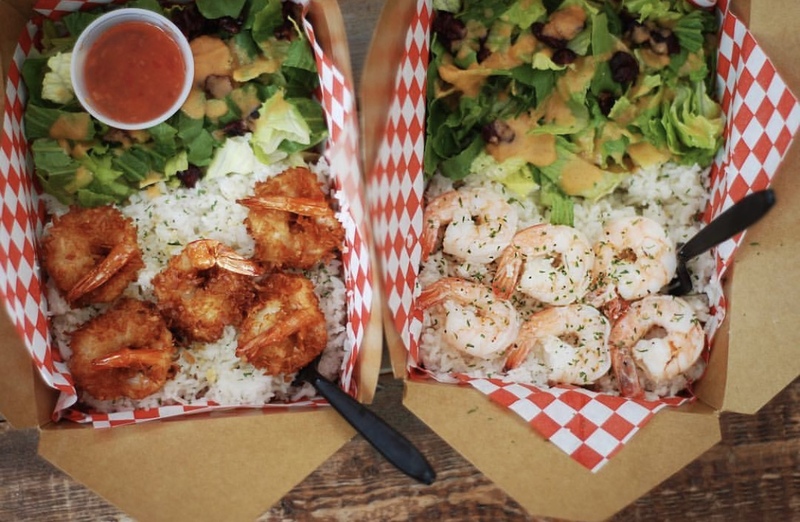 From Coconut Shrimp to Ke Ahi (fire) shrimp on a deliciously fresh salad or their super addicting seasoned rice, you truly can’t go wrong. I recommend the sampler plate so that you can try all of the shrimp varieties that Coco Shrimp serves up! 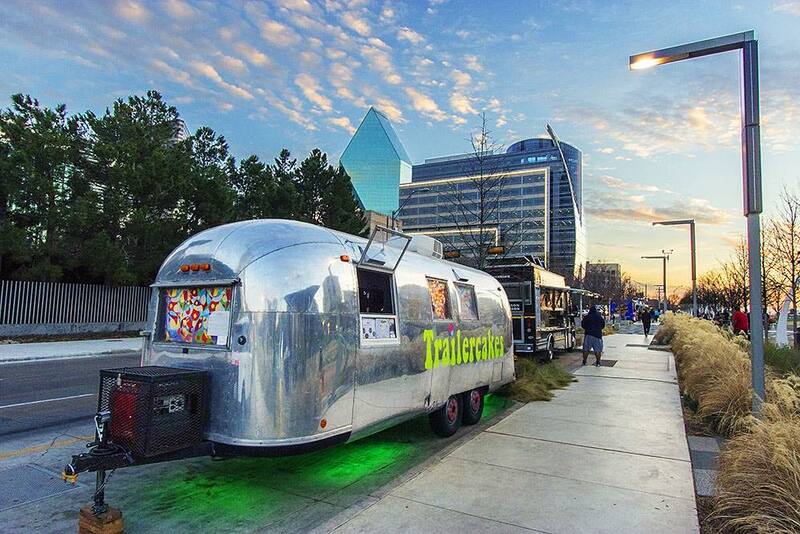 Trailercakes (Dallas): Although Trailercakes has a storefront in the Knox-Henderson area of Dallas, they also have a food truck that you’ll find at special events and festivals as well as private events. Trailercakes has my absolute favorite cupcakes in all of Dallas, and they just so happen to serve them out of a groovy Airstream trailer that named “Bubbles”. You can’t go wrong with any of their flavors. I suggest the mini cupcakes so you can sample more at one time! The Dumpling Bros (Denton): It is tough to find really great dumplings but lucky for us, The Dumpling Bros food truck in Denton, is always a safe bet. 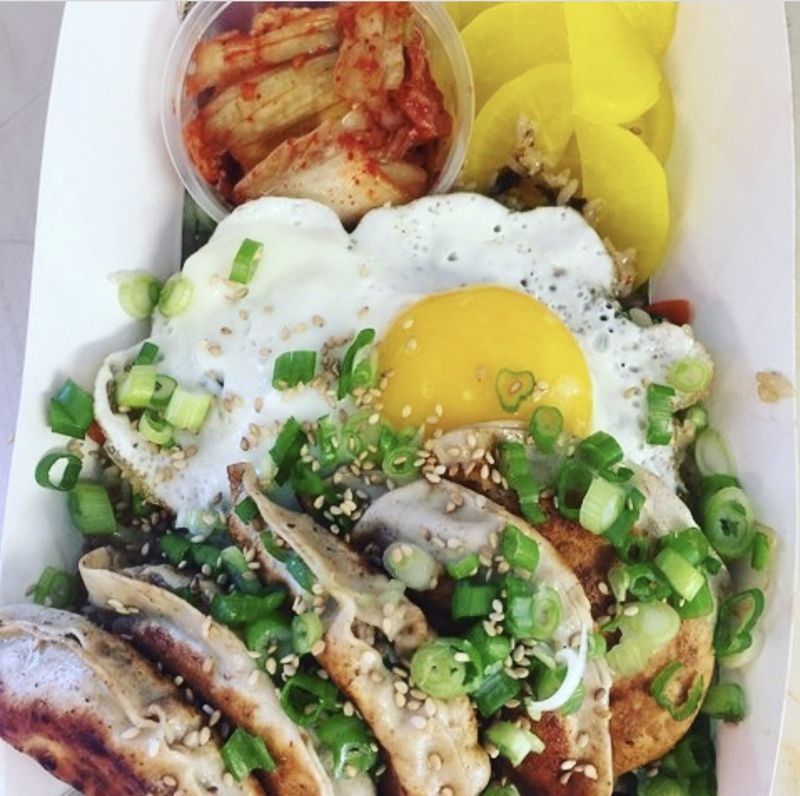 Authentic Korean food served out of a truck in North Texas? You bet! The folks at The Dumpling Bros use only the freshest ingredients for their handmade dumplings, Korean street tacos, kimchi and more! 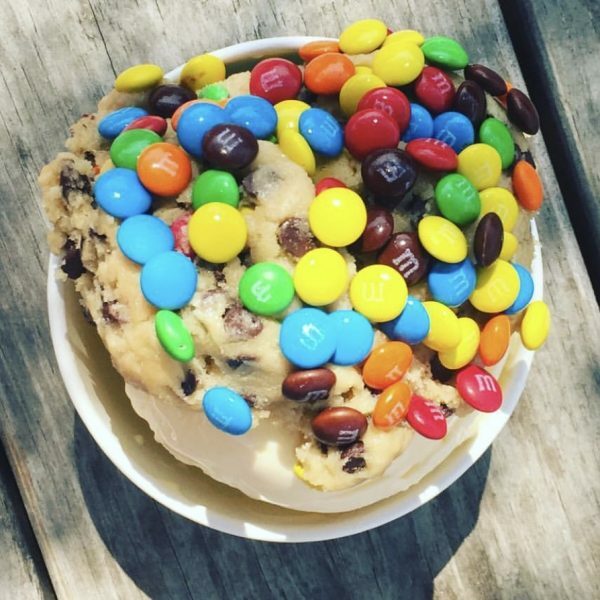 The Dough Box (Frisco): If edible cookie dough that is safe to eat tickles your fancy, look no further than The Dough Box! Open Wednesday – Sunday at the Frisco Rail Yard, The Dough Box offers several various flavors ranging from traditional chocolate chip to Butterfinger! 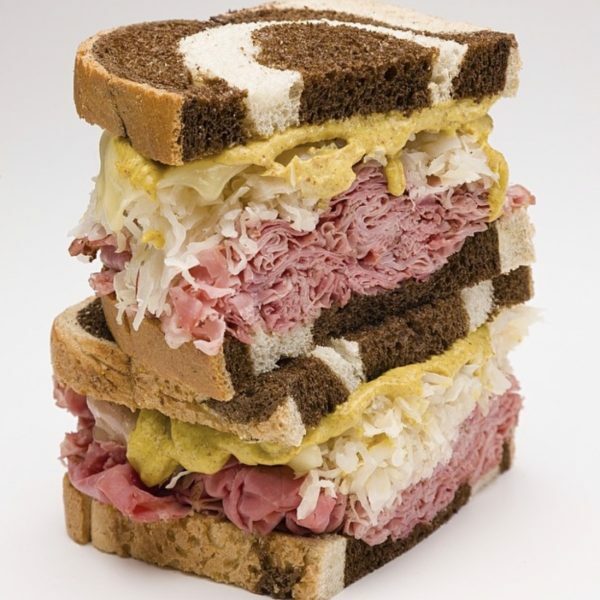 Gandolfo’s (Dallas): Whether it be brick and mortar or from a food truck, Gandolfo’s has long been one of my personal favorite delicatessens in Dallas. Their food is always spot on and they are also one of the longest-running food trucks in Dallas! You can often find them parked at Klyde Warren Park and there truly isn’t a single thing that I haven’t ordered at least a dozen times over. My absolute favorite? The Eastside Egg Salad. Gets me every time! Original article written for Visit DFW can be viewed here!